What risks are you taking with your digital devices? Comfort is essential and it is the most pleasant and desired feeling in everyday life. To increase this beautiful feeling, newly made home service electronic devices are made to ease the task of daily life. 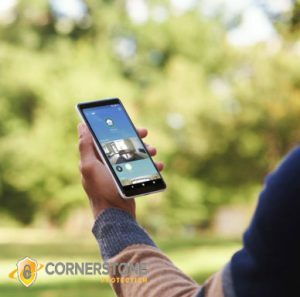 This huge increase of smart and electronic devices means that with everyday passing by a new device is at our home. We can control our lights, thermostat , smart TV’s and many more things. As anyone can see that it is a very convenient way to live but not everyone sees the risk in these increasing electronic devices at our homes. Almost every electronic device can be hacked, like they say that “If it’s digital, its hack able”. It raises many questions regarding the security of our homes, but the main question that arises is, “How can we prevent these devices to be hacked?”. There are many security measures that we can consider to prevent these hacking attempts. Not everyone considers the passwords as very important, most people do not protect their passwords as they should, but here we will give some tips to help you secure your passwords. You must change your security passwords every six months to keep it secure and safe. You must not use similar passwords for every device and every account. You must never rely on default password of any device, change the default password as soon as you get the device. You must use multi-step authentication for your accounts this results in multilayered passwords which prevent your devices to be hacked. It is most likely possible that you have already heard the statement “Think Before You Connect”. It means that whenever you are about to connect to a Wi-Fi, consider whether the network is secure enough to keep you secure as well. Public Wi-Fi networks are the most dangerous networks you can be connected to. Here are some things to think about before you connect:. 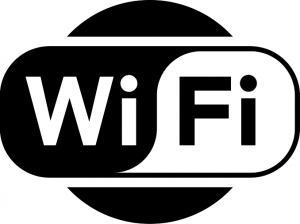 You should never connect to a public Wi-Fi network, they are very convenient, as you are getting free Wifi access but, keep in mind that public Wifi networks are most likely be hacked by hackers. If possible, even using your private network you must create and use a Virtual Local Network (VLAN), as this is more secure. Firewalls and Antivirus software are extra steps to protecting your electronic devices. Make sure to keep the network firewall up and antivirus software running . And last, we recommend that contacting a security company, so they can help you set up and install some extra protection for your home and home electronic devices.